This thread is for live updates and comments regarding The Rolling Stones Minneapolis MN USA 3-June-2015 show. Please tell us your pre- and post-show thoughts and comments here. I hope they will use the request part of the show for a very rare song today. Maybe Heartbreaker or something from Sticky Fingers like I Got The Blues or Sway. Edited 1 time(s). Last edit at 2015-06-03 17:44 by Stonesfan2146. Hopefylly they will deliver a good playlist and not a stale one. After all they are celebrating 2 B-days. I wish I had one of those, my dad took that picture yesterday! We are heading into the city, gonna pick up stonesfrkk at the hotel, then gonna go to TCF and buy some merchandise! Can you check out and see if the posters are numbered? I'm assuming they are, but if not I'll just buy the bundle on the website. I will check, truck is supposed to open 12-1. Love the loon poster. Definitely getting that and the shirt. Also hopefully we'll get the vote song up today too. Best litho yet for this leg, though the San Diego one was pretty cool too. 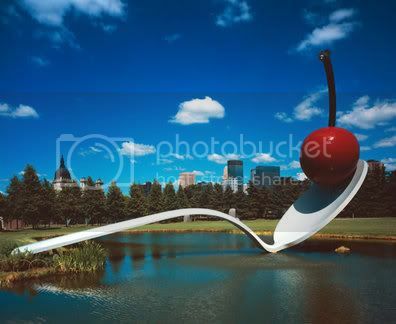 Can any of the locals tell me how the cherry is significant to MN? I get the loon reference on that poster but don't get the other reference. Thanks! More importantly, Here's hoping everyone going to the show has a great time! Edited 2 time(s). Last edit at 2015-06-03 20:35 by Irix. Now I am touchdown MSP! Very hard, not really urging to hear any of those songs. But I will vote for ''Live With Me'' since it was so underwhelming and rusty in 2013, so I want to hear if it's even worse this year. Yes I agree. Great Idea! I am there now!